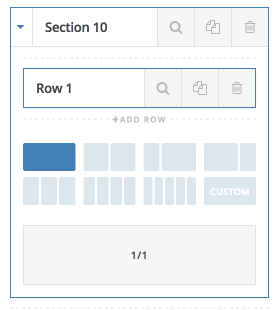 In the guide we'll be exploring the various capabilities and options that are part of the sections, rows and columns along with some neat tricks to add classic sections. What are those? Read on to find out. There are now two different types of sections, rows and columns. As you go on and build new sites you won't need to think too much about this. As you'd be working with the new V2 versions of sections, rows and columns. However if you are upgrading an existing site you will most probably have a mix of classic sections, rows and columns and new V2 sections, rows and columns. What are the main differences between Classic and V2 versions? The primary difference is the configurability of the V2 versions, V2 sections, rows and columns offer both more controls and customizable options. 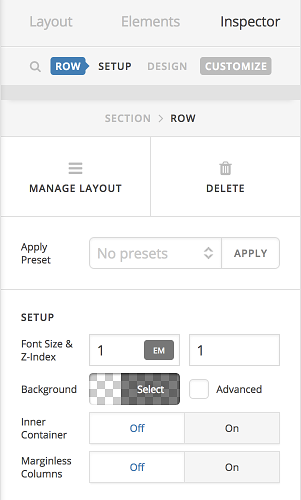 Whereas the Classic sections, rows and columns provide the same controls you're already used to. In this article we'll explore both more in-depth to help you make the right choice for your website. On the Background parallax options you can enable the parallax effect independently, for example if you only want to have the effect applied on the Upper Layer you can check that independently, set the size, the direction and whether to reverse it. This allows you to achieve more creative results, by setting the lower and upper layers to different values. This will allow you to, set the number of columns in a row, add a new row or delete a row. One of the most important options you'll want to pay attention to is the Inner Container option and the Marginless columns option. Setting the Inner Container option to off, will allow your content to be full width in the row, rather than being constrained. 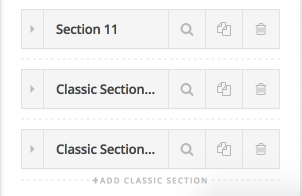 All elements will still work in a classic sections, for example a classic element will work in a V2 section. You don't need to specifically only use the V2 elements, though we do recommend using them where possible, as they are more configurable and greater power. However if you just want to get something up and running quickly. The classic elements may be just what you need. Once you've added a classic section, you then continue configuring the sections as you always have. 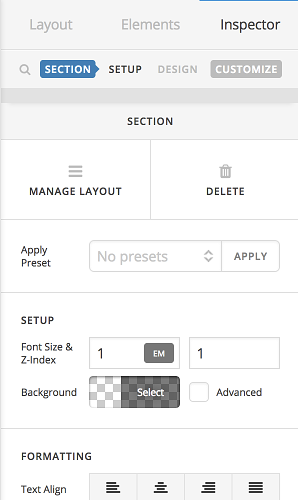 Though you'll still have the new interface with the way of managing layouts. How do I get a Parallax effect on my website? Which one is this element? How to replicate this template? How to add margins to a section?